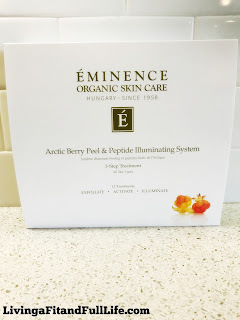 Living a Fit and Full Life: Reclaim Your Beauty with Eminence Organic Skin Care! 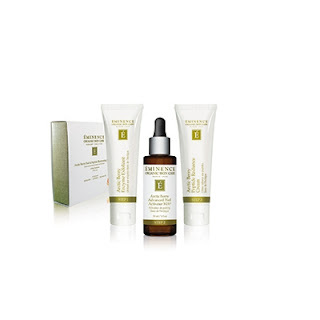 Reclaim Your Beauty with Eminence Organic Skin Care! Restore your skin’s natural moisture balance with our limited edition Pumpkin Latte Hydration Masque. Vitamin E and Omega 9 nutrients combine in this dreamy puree of fresh pumpkin to fight the appearance of aging and environmental stress on your skin. Reclaim your beauty with Eminence Organic Skin Care! 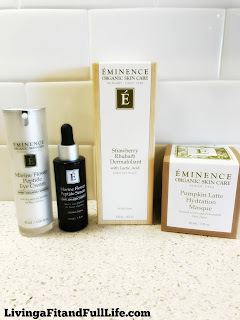 Eminence Organic Skin Care is fairly new to me as I only recently discovered their products but I must say I'm head over heals in love! They have a huge selection of skincare products and each and every one offers terrific benefits. I recently had the pleasure of trying the products above and was definitely impressed! 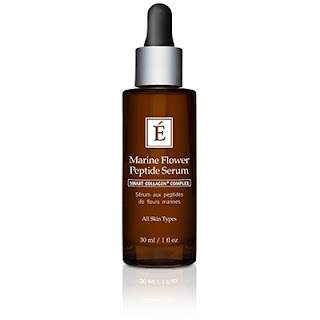 Eminence Organic Skin Care's Marine Flower Peptide Serum is a terrific serum to help reclaim your youth! The battle to stay youthful is on for me now that I'm in my thirties. While I know it's one I probably won't win, I definitely don't want to go down without a fight. This Marine Flower Peptide Serum seems to hydrate my skin instantly and I can already see that the fine lines on my forehead have reduced a bit. I also love how plump it seems to make my skin. It's a terrific serum that I can use any time of day! 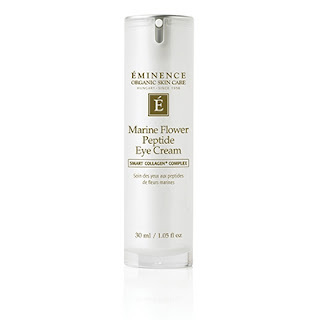 Marine Flower Peptide Eye Cream by Eminence Organic Skin Care is the perfect eye cream for me! It soothes the dry skin around my eyes upon contact and helps my eye area look young and healthy. I've been applying this eye cream before I apply my makeup because it de-puffs my eyes and helps to diminish my dark under eye circles. If you're looking for a way to improve your eye puffiness, dark circles and fine lines, this eye cream is it! 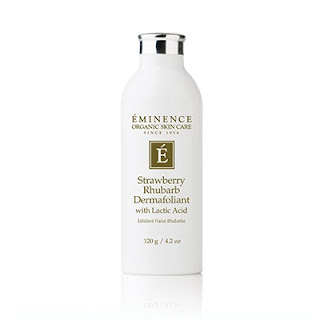 Strawberry Rhubarb Dermafoliant by Eminence Organic Skin Care is amazing! As someone who suffers from dry flaky skin I can honestly say that this product does wonders to slough off dead skin cells to reveal a fresh clean palette. It's the perfect way to rid your skin of dead cells and achieve a radiant healthy glow! 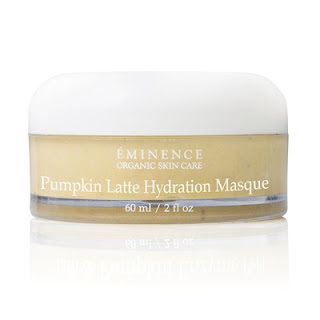 Eminence Organic Skin Care's Pumpkin Latte Hydration Masque is just what my dry skin needs! I also love that it contains pumpkin because who doesn't love pumpkin right now? It seems like my skin seems to dry out right as the weather cools off which is why this limited edition Pumpkin Latte Hydration Masque is just what my skin needs to keep hydrated. If feels incredibly refreshing on my skin and when it's washed away my skin looks fresh, clean and healthy! Eminence Organic Skin Care's Pumpkin Latte Hydration Masque is a must have this fall so be sure to get yours now before it's gone!